Next week we’ll be heading to the East Coast to attend our 4th Beer Bloggers & Writers Conference. This year the event is being held in Loudoun County, Virginia, with excursions that offer experiences in Maryland, Delaware, and Richmond, Virginia. It’s an incredible time, and although we wish we could bring y’all with us in our suitcase but sadly, we can’t. (Blame the airlines and their crazy luggage fees.) Fortunately, you CAN experience the fun along with us virtually! Today we’ll give you a quick preview of our agenda, and tell you how you can play along from home. Better yet, maybe we can inspire you to attend next year’s event… we’ll tell you how. If you’re new here you may not have heard of this conference. The Beer Bloggers & Writers Conference (formerly the Beer Bloggers Conference and referred to as BBC) is an annual conference put together by Zephyr Conferences. The first conference took place in Boulder, Colorado in 2010. Since then it’s traveled to a new city each year, giving us a chance to explore new and exciting beer-drinking destinations each year. We have attended three previous conferences: Our first was BBC14 in San Diego, followed by BBC15 in Asheville, North Carolina, and then BBC17 in Milwaukee, Wisconsin. Since our first trip we’ve only missed one, BBC16 in Tampa, and we still regret it. We don’t plan on missing another. As beer bloggers, writers, photographers, and social media users, we have found the conference content incredibly helpful. 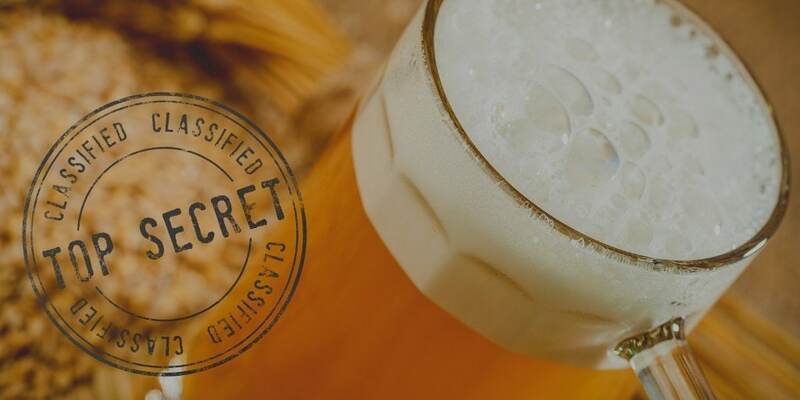 We come away with new skills, a better understanding of the beer industry, insight on upcoming trends, and advice from fellow bloggers and professionals. We also leave inspired, with a passion that what we do is not just fun, but can be helpful and valuable to other beer enthusiasts. As beer drinkers we love getting to discover a whole new beer destination. 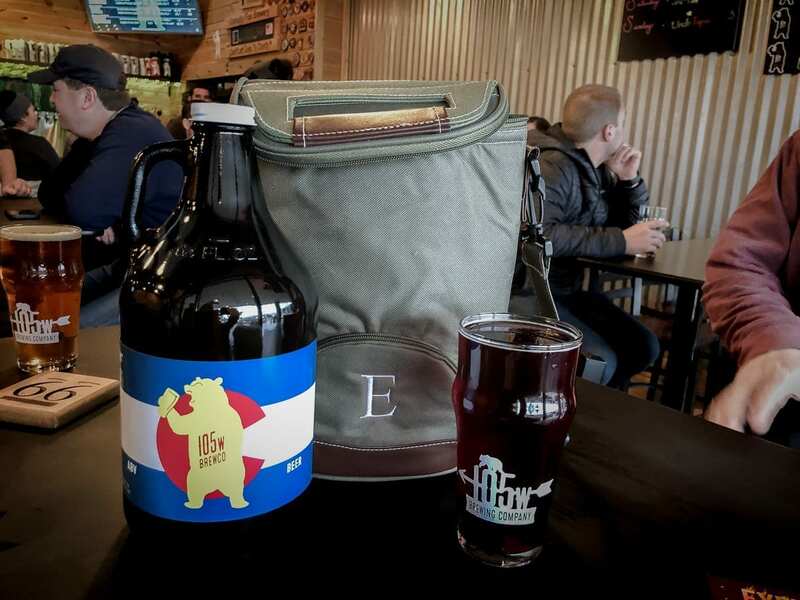 By exploring new breweries and tasting all the beers each host city has to offer, we have found some incredible new favorites. And OMG is there a lot of beer at BBC. We pair beer with our sessions, enjoy beer afterward, and trade beers with other attendees. We often tour local breweries to learn more about them, and see where their beer is made. As as regular folks who just love beer, we have met some really great people at BBC. We have met kindred spirits, people who inspire and teach us, and friends we hope to keep for life. Some of our BBC friends we see again every year, some every few years. Often we run into them at other events, like GABF. Some folks we only see online, but we still consider them great friends. Beer people are the best. In summary, we leave BBC each year with a head full of new ideas, a suitcase full of beer, and several new friends. It’s awesome. Friends we made at our first BBC in San Diego, all of whom we still consider friends today. BBC18 kicks off in Loudoun County, Virginia on Friday, August 10. Even before the conference starts, Zephyr has some incredible, bucket-list worthy adventures in store for us. This year they offered three pre-conference excursions and one post-conference excursion. Our schedule would only allow us to attend two of the pre-conference events, but boy, will they be good ones. On Tuesday, we’ll be visiting the brand new (as in, just opened TODAY) Guinness Open Gate Brewery & Barrel House in Maryland. This is the first Guinness Brewery on U.S. soil since 1954. We’ll be paying them a visit just days after their grand opening, and spending our first night away in Baltimore. On Wednesday we’re off to Delaware, where we’ll tour the Dogfish Head Brewery, enjoy dinner and tastings, and spend the night at the Dogfish Inn. As if that’s not cool enough, we’ll be attending a fireside chat with Dogfish Head founder and craft beer legend Sam Calagione. Awesome stuff, right? And that’s all before the conference even begins. Loudoun County is not far from Washington D.C., but from what we have heard and seen online, it’s far from the hustle and bustle of the city. The county is known as “D.C.’s Wine Country” with 42 wineries, but their beer landscape is pretty impressive, too. Loudoun County is home to 24 breweries, collectively referred to as the LoCo Ale Trail. We’re looking forward to learning (and tasting) our way around the LoCo beer scene. We arrive in Loudoun County on Thursday, just in time for the conference kickoff party at Farm Brew LIVE, an 8-acre campus that features craft beer, craft food and live, local music. This place looks incredible, and we can’t wait to check it out. The conference itself finally kicks off on Friday, August 10. Each day of the 2-day conference will be packed full of great content. Each evening we’ll head to receptions filled with plenty of great local beer. 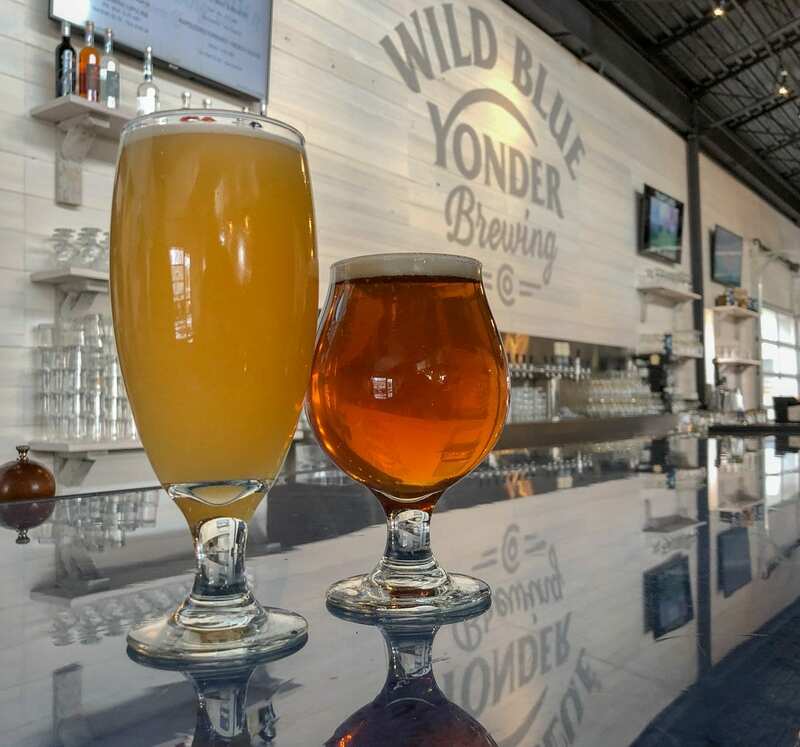 We’ll visit Vanish Farmwoods Brewery, where we will tour the hops processing facility, and Lost Rhino Brewing Company where we’ll be tasting beers from several Virginia breweries. Finally, when the conference wraps on Saturday we’ll learn where BBC will be next year, so as we recover from this fun-packed adventure, we can begin to plan our next one. Yes, we know we totally made a few of you jealous by sharing that awesome agenda. It seriously wasn’t our intention, though, perhaps you should consider that you’re totally MISSING OUT and need to come next time? Beer bloggers, published beer writers, and social media influencers can get a reduced rate. If that’s not you, well why not? It’s not too late to start a blog or beer-focused social media channel to join us in 2019, just saying. Registration for the next conference will open shortly after this one wraps up. The more the merrier! before Monday, August 6. We’ll pass your question along to Sam for the #AskDogfish session. We can’t promise he’ll get to all the questions, but who knows! If your question is picked you’ll get an answer and a shout-out on the #AskDogfish stream. One of the most exciting (and definitely the most insane) events at each BBC is Live Beer Blogging. What’s Live Beer Blogging? It’s a room of bloggers and writers each sampling 10 beers in 50 minutes. Every 5 minutes a new brewery representative shows up at our table to tell us about the beer and pour samples. We all do our best to share each beer experience as we go, live, using the #BBC18 hashtag. It’s fast, it’s crazy, and it’s lots of fun. You can follow the fun from home on Saturday, August 11 beginning at 2:15 PM MT on our social channels, or see all the craziness by searching the #BBC18 hashtag. We promise that we’ll be sharing all the exciting moments of our BBC18 trip with you on our social media channels. Make sure you check often because you never know what we’ll share after a few beers (or what may be removed the next day!) Once we get home and fully recover, we hope to have some great stories to share on BottleMakesThree.com as well. Follow us to learn more about Guinness in Maryland, Dogfish Head in Delaware, and the LoCo Ale Trail in Virginia.